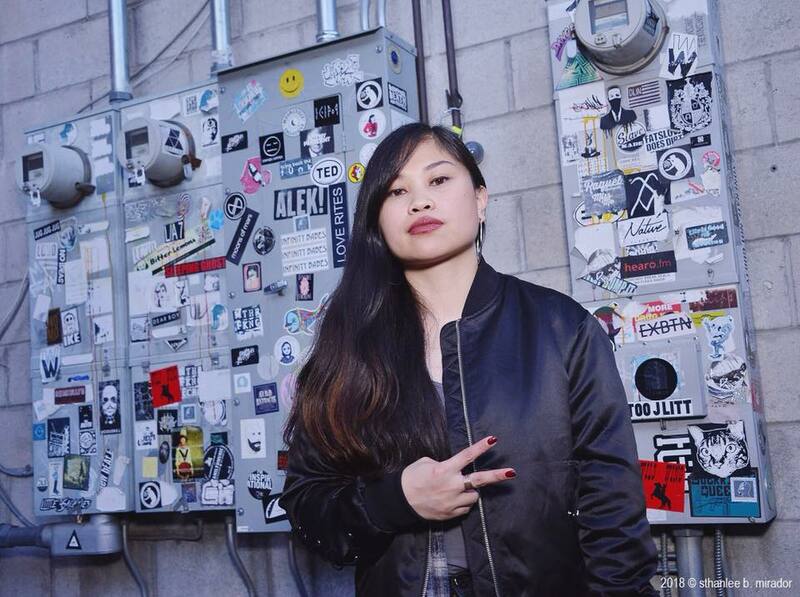 Born in Tacloban City, Philippines, Filipino-American artist Ruby Ibarra is a Bay Area native who channels both her Filipino and American identities into her work: through rap, hip-hop and spoken word. Last October’s release of Circa91 — a hip-hop record full of hard-hitting lyrics, empowering messages of race, identity and equality, and beats played to rhythmic flows as Ibarra interchanges between English and traditional Tagalog and Visayan dialects — is an impressive rap album that hits you hard lyrically, showcasing Ibarra’s utter confidence and intent in her rhyme. The new year not only introduced Ibarra’s debut in Times Square — an untold collaboration with MasterCard for #StartSomethingPriceless — but also the start of her Circa91 Tour. Kicking things off at the Bootleg Theater in Los Angeles’ Historic Filipinotown last Saturday night, Ibarra, along with a roster of other hip-hop artists, proved the underground hip-hop community has much to offer. With special performances by fellow rappers G Yamazawa, Klassy, musical duo Astralogik and hosted by revolutionary rapper and socialist Bambu De Pistola from Beatrock Music, the night was nothing short of empowering, inspiring and important. With its roots in urban environments, hip-hop and rap has long been a powerful platform for individuals to speak up and reflect on political, social and cultural issues. The experience of a hip-hop show like this is full of so much raw energy and an intimacy between crowd and performer that goes unnoticed. It’s a real community (and for a rock music junkie like me, underground hip-hop as raw as this is truly an experience in itself — it leaves you feeling with something that sticks). “Us” by Ibarra featuring Rocky Rivera, Klassy and Faith Santilla is my favorite from her record (and if I may add: how empowering is it to see several powerful pinay women take center stage in hip-hop, a platform that is usually dominated by males?! Dope, if you ask me!). Part 1 of the Circa91 Tour started this January with plans to continue Part 2 in more cities across the nation in February. Tickets are available at beatrockmusic.com. 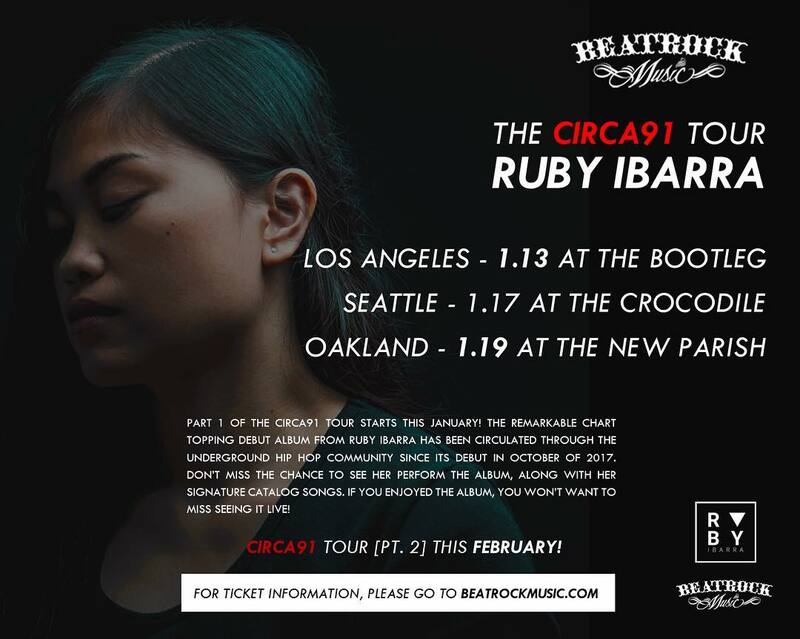 Listen to Circa91 and keep up with Ruby at rubyibarra.com or on Facebook, Instagram, Twitter and YouTube.